Turning lambs into sheep. That's the process of making disciples. It is practical "boot camp" training between a discipler and a disciple with a focus on bringing the new believer to maturity in Christ. 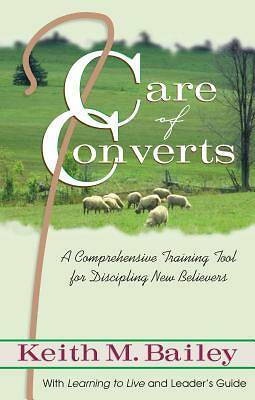 Based on biblical models, "Care of Converts "outlines a curriculum of principles and patterns emphasizing the character-building disciplines of discipleship which every true follower of Jesus Christ must incorporate into his or her life. Included in the text are the entire contents of "Learning to Live," a manual for new believers, and its corresponding leader's guide. Disciplers will find this dual-purpose format useful in bringing the evangelism/discipleship mandate full circle.